Admission to and use of the University Library (the Library) is conditional upon the observance of the Library regulations (the regulations) made by or with the authority of the Academic Board. All members of the Library staff are empowered to enforce the regulations. Anyone who is believed to have violated the regulations, disturbed readers or mutilated Library materials items may be excluded from the Library and all privileges of using Library services may be suspended. All Library users are presumed to know the regulations before using the Library services and facilities. If users breach the regulations, serious cases may be referred to the relevant University Authority. In case of any discrepancy or inconsistency between the English version and the Chinese version of the regulations, the English version shall apply and prevail. 1.1 All users must present valid University Identity Cards or any valid Library cards when entering the Library. 1.2 Loss of University Identity Cards or any valid Library cards must be reported to the Registry and the Library respectively without delay. 2.1 Food and drinks are not allowed in the Library. 2.2 Smoking is prohibited in the Library. 2.3 No physical or online games of any form are allowed in the Library. 2.4 No sleeping in the Library. 2.5 No wet umbrellas or raincoats may be brought into the Library. 2.6 Notices must not be displayed or distributed in the Library. 2.7 Silence must be observed in the Library except in designated areas. Any user causing disturbance to others and ignoring the verbal warning of the University Librarian or his/her designated representative will be liable to disciplinary action, and may be excluded from the Library. 2.8 Mobile devices may be used only in silent mode except in designated areas. The use of headphones is allowed but the volume should be such that there is no noise leakage. 2.9 Users are not permitted to reserve seats in the Library. Any personal belongings or library books left unattended on Library desks may be considered as a "seat reservation". Any such seats may be taken up by other users. In case of dispute, the University Librarian or his/her designated representative has absolute discretion to allocate seats or study places to users concerned. 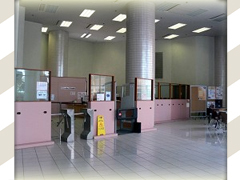 Any unattended belongings should be reported to library staff at 2/F Information Counter. 2.10 Unattended belongings may be removed by Library staff without prior notice to the owner. The Library will not be responsible for any loss or damage of personal property. Lockers are available on 2/F to store personal belongings. 2.11 Books and other items which are the property of the Library must not be mutilated or defaced. The full replacement cost will be charged for any damage caused by users. 2.12 Tables and chairs should not be misused or moved to new positions except as permitted by Library staff. 2.13 Prior permission must be sought for photo-taking or video shooting in the Library. 2.15 For the purpose of security, CCTV monitoring is in use in the Library. 2.16 Rules of Special Collection Room on 3/F should be observed. 2.17 External reader card for admission to another local library is governed by the regulations of that card issuing library. Misuse of the card may lead to cancellation of permission to access to that university library. Serious offence will be referred to either the University Authority or the Student Disciplinary Committee for further action. 3.1 Borrowers shall be held responsible for any loss, mutilation, damage or defacement of library materials by writing or other marks and shall be required to pay the full cost of replacing or repairing such materials. 3.2 The Librarian may, at his discretion, restrict the borrowing of certain categories of library materials. 3.3 Users must produce Student or Staff Identity Cards or any valid library card when borrowing library materials. 3.4 No library materials may be removed from the Library until their issue has been properly recorded at the appropriate counter or self-check machine. The Library will submit a report to the Student Disciplinary Committee for necessary action in the case of students or to the University in the case of staff who have violated this regulation. 3.5 All loaned library items should be returned upon graduation, withdrawal or cessation of employment from the University. 3.7 Access to electronic resources is governed by license agreements. Under these agreements, access to the resources is restricted to members of Hong Kong Shue Yan University. The resources are for education and research purposes only. Commercial use, systematic/excessive downloading and redistribution of electronic information outside the university are prohibited. Violation of the license terms may result in the loss of access to that resource for the entire university community. 4.1 Reproduction or duplication of audio-visual materials or computer software without permission from the copyright owner is strictly prohibited. 4.2 Photocopying of library materials should be made in accordance with the Copyright Ordinance (Cap 528) of Hong Kong. Users are fully responsible for any legal consequences arising from infringement of applicable copyright laws. Information on copyright restrictions is posted next to the photocopiers in the Library.